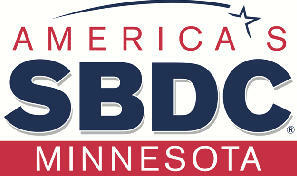 The Small Business Development Center (SBDC) offers at no cost, confidential consulting to help businesses in SE Minnesota identify, understand and overcome the challenges of starting a business, running a successful business, and developing exit strategies. We provide the professional expertise and guidance that every small business owner needs to flourish in today's competitive and ever-changing business world. We do not lend money to small businesses, however we work with the business owners and financial institutions to prepare documentation that lenders require for business loans. The SE Minnesota SBDC is operated by the Rochester Community and Technical College with support from the Small Business Administration, the Department of Employment and Economic Development, multiple regional partners and local funding sources.